A combined approach for fractioning metal compounds in soils on the basis of sequential and parallel extractions is proposed. 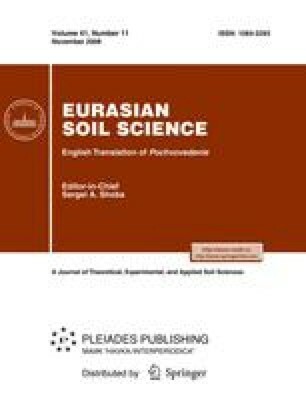 This approach has been used to assess the group composition of Zn, Cu, and Pb compounds in an ordinary chernozem and its changes upon the soil contamination with metals. The contents of firmly and loosely bound metal compounds that are presumably fixed by the particular soil components (organic substances, carbonates, and silicate and nonsilicate minerals) have been determined. Original Russian Text © T.M. Minkina, G.V. Motuzova, O.G. Nazarenko, V.S. Kryshchenko, S.S. Mandzhieva, 2008, published in Pochvovedenie, 2008, No. 11, pp. 1324–1333.